We are as close as you can get to a peninsula. Meaning, we are surrounded by water. Not exactly literally, but pretty darn close. Otter Tail County has over 1,000 alone, which means there are many different lakes to choose from. Whether you are looking for a more private, serene lake to relax on or a busier lake to play on, our area has exactly what you need. Fish! On the water or on the ice, there are always fish to catch in our lakes. Swim – Cool off from the hot summer heat with a nice, fresh dip in the water. Boat – Cruise around the lake in a speedboat or go on a scenic drive on a pontoon. Float- down the river or on the lake – one of the best ways to spend a summer day. 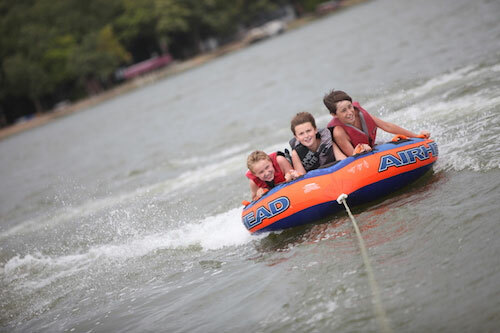 Waterski, wakeboard, or tube – behind a boat for a little more adventure. Canoe, paddleboard, or kayak – use your own muscles to move around the water! 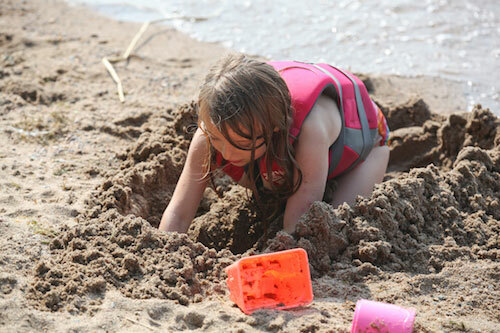 Build a sandcastle – Get your creativity on and challenge the kids to a building contest. RELAX – Just sit with your toes in the sand and listen to the waves hitting the shore. The Perham Area has a lake just waiting for you. What are you waiting for?